I had snuck out on Friday to try and find some ghosts and ended up loosing a nice fish in the kelp, on the yoyo (Tady - Mackerel Pattern). Spent the rest of the day sailing and messing around with some chunky calicos. 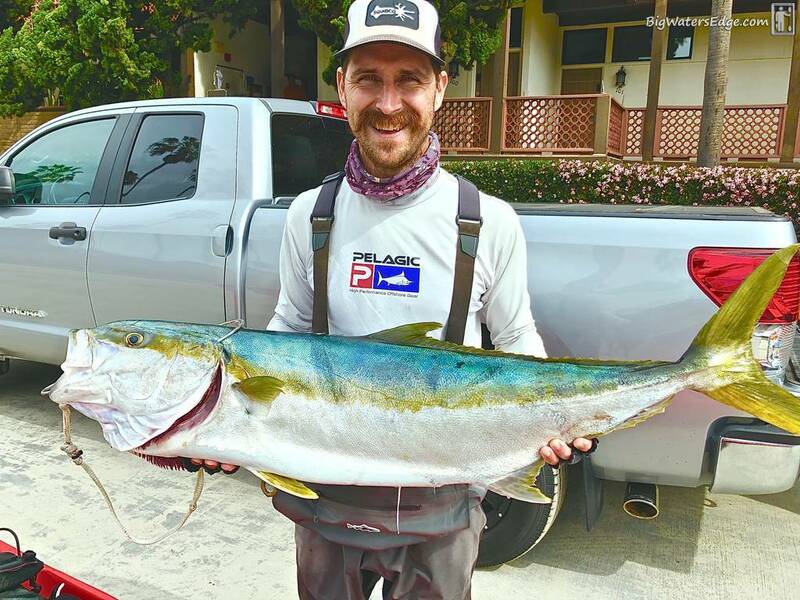 Stoked to see Nick's solid fish! 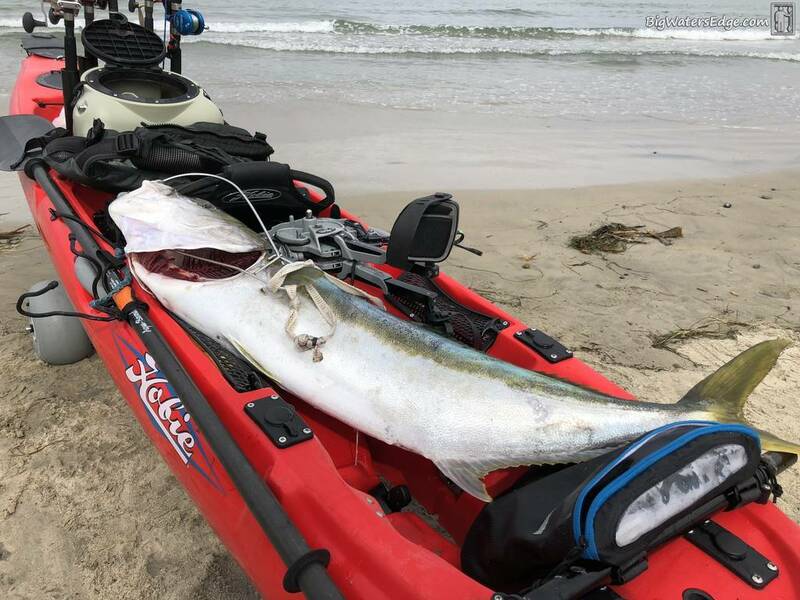 Feeling the need for some redemption, I got the ok from the Mrs. for Sunday and launched to light wind and a flat ocean. With copious amounts of crab present, I started to look for bait. 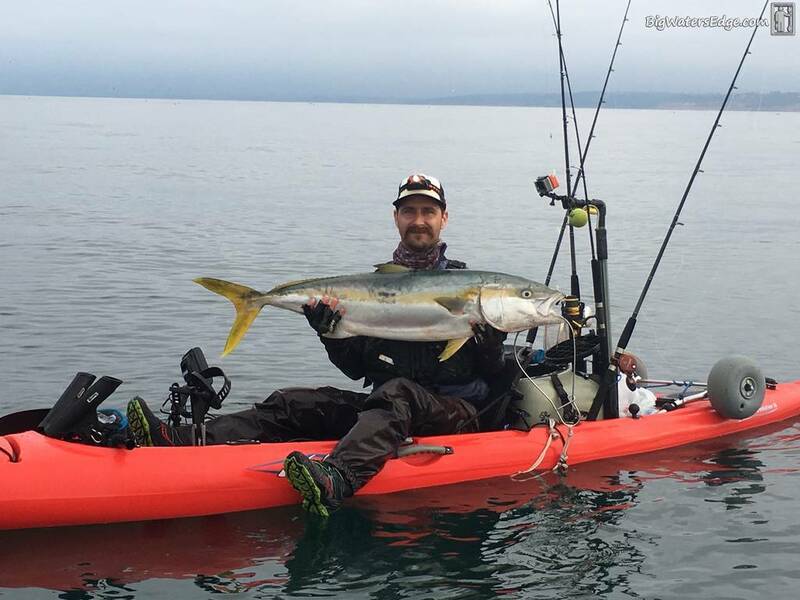 I made a couple greenbacks and then came across some larger dines. I see Kevin hooked up over yonder and I figured I would use the dines sooner than later, so I sent one down on the dropper loop. 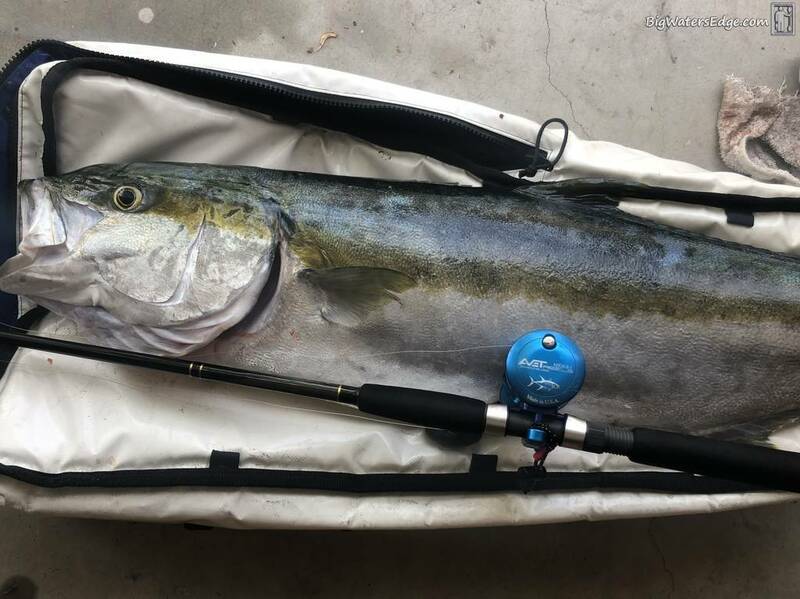 Had the bait a couple cranks off the bottom (in ~75 ft) and then the reel starts screaming. Waited a couple seconds and finished reeling in the iron. This fish was solid and had some good head shakes and didn't want to come up. Got the fish aboard, bled and gutted. Ended up being 36.5 lbs after bled, gutted and tail chopped. 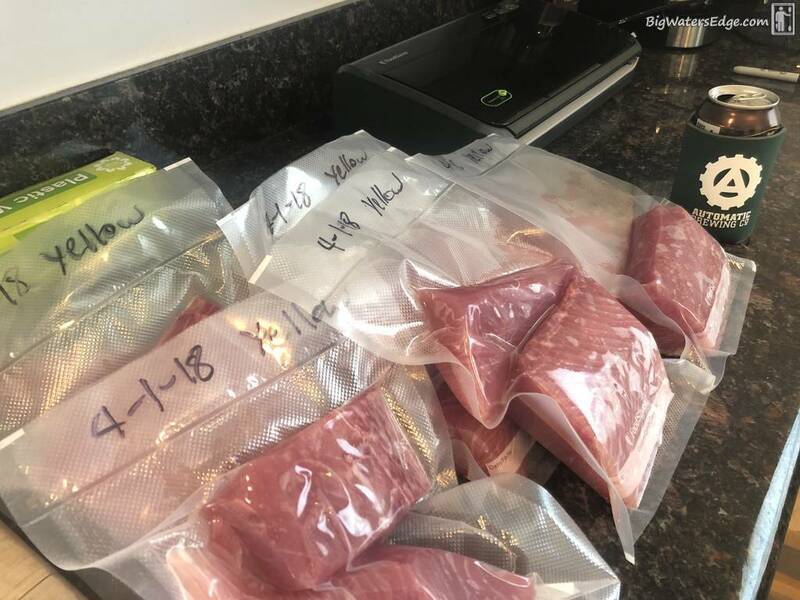 Got some quality fillets and thick collars! This fish had some shoulders! Here is some video from that morning! Nice redemption brother!! The kelp is thick out there now, seems the fish are proned to run straight for it now! It was around last year but nearly as thick and plentiful! Great job brother!! Glad to see you were one of the lucky ones that day, Todd. Really nice fish with some girth. I saw some caught on the water, but it looks like more were caught than I thought. I have to keep trying to get out there as much as possible. I've become really annoyed that working is interfering with getting out to LJ as much as I want, given the weather patterns we keep getting. Ha Ha Ha! P.S. Love that reel, the one I have in the same color has been super productive and proved to be super capable even landing larger fish. Great looking fish my friend. Great fish. I went yesterday with my son. He made bait for me and caught a white fish and a couple small sand dabs. I didn’t even get a single freaking bite. Yeah I seem to loose at least one or two fish per year in the grass:(. I hear ya. Between work, kids and the weather, I haven't been able to get out as much as Id like. I've been pretty happy with my Avets. Bearings are a little thirsty, but so easy to breakdown and service plus they can handle some big fish. Thanks amigo, I hope all is well! Made these dishes for the Mrs. with some of those chunks! 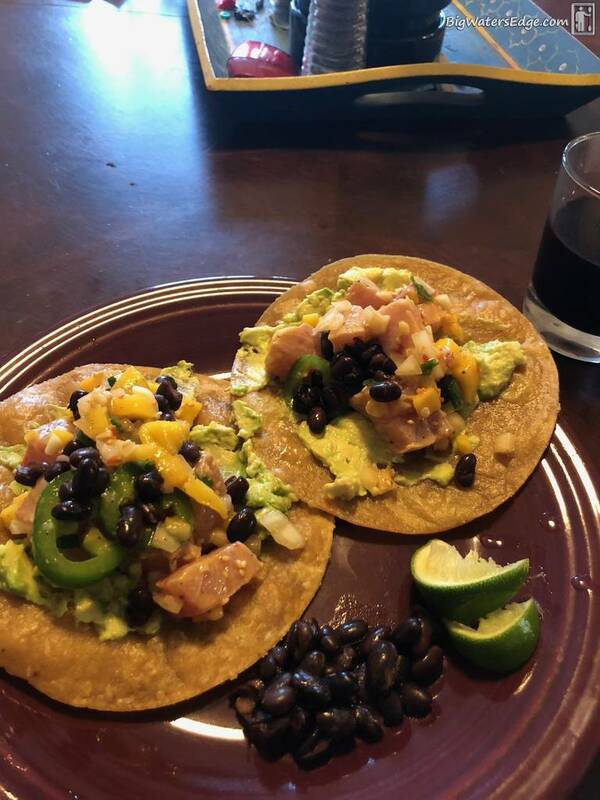 POKE TOSTADAS w/ mangos, jalapenos, onions and avocado. Served with black beans. 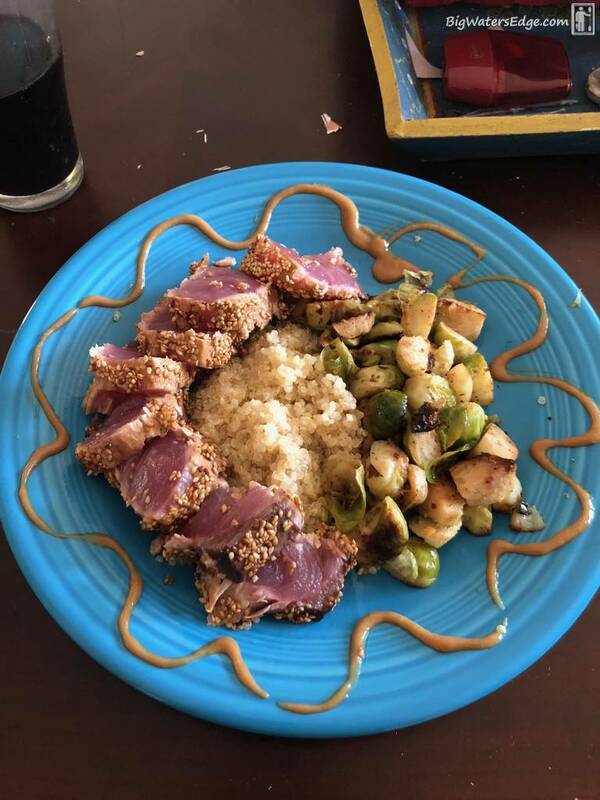 SEARED YELLOWTAIL w/ quinoa, Brussel sprouts and a miso aioli. Nothing tops a fish like that.....well unless you turn it into some off that gourmet awesomeness. All times are GMT -8. The time now is 04:00 AM.